Treana neighbours one of Europe’s most exclusive residential villa developments – providing the ultra-luxury apartment choice for today’s modern buyers. Real Capital Solutions looks to exceed first-class expectations at this truly unique location, with large private residences that promote only state-of-the-art qualities and amenities. We are excited at the prospect of bringing a real estate proposition to Marbella with outstanding levels of modern Mediterranean design and specification. This elevated position sits directly over the stunning La Quinta golf course with truly breath-taking views across the coast and the Mediterranean. 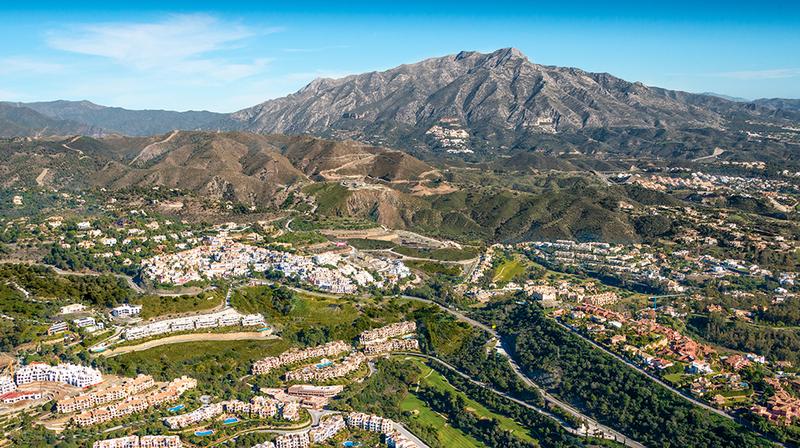 Whilst the plot itself sits on a natural pinnacle raised into the horizon and is surrounded by the foothills of Ronda, it is actually only a few minutes from the lively tourist destinations of Puerto Banus & Marbella. Scheduled Release Autumn 2017. Current status: Under Design.